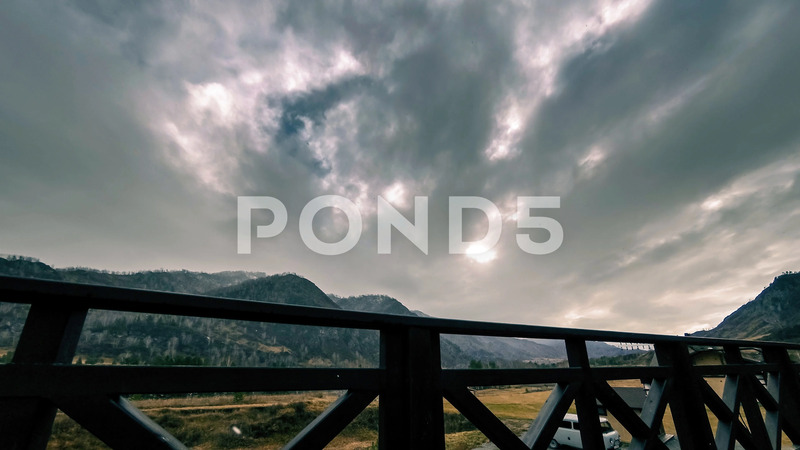 Description: 4K UHD time lapse of wooden fence on high terrace at mountain landscape with clouds and sun rays. Autumn or winter weather. Horizontal movement on motorised slider dolly.